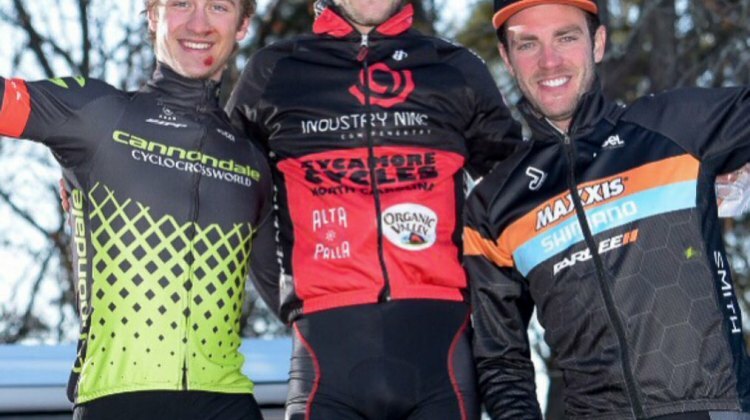 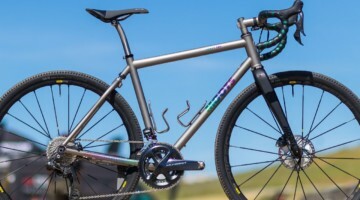 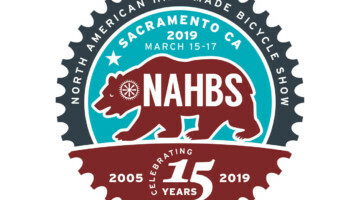 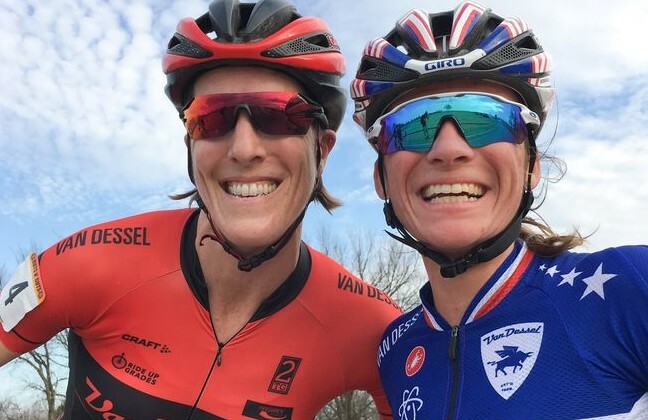 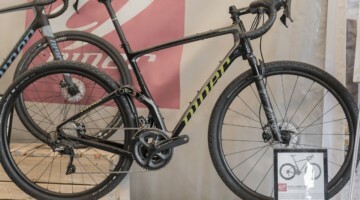 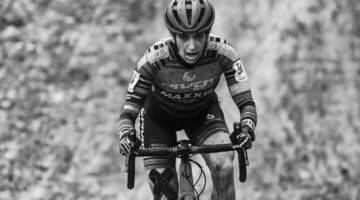 The 2018 Nommay World Cup featured a number of North American riders. 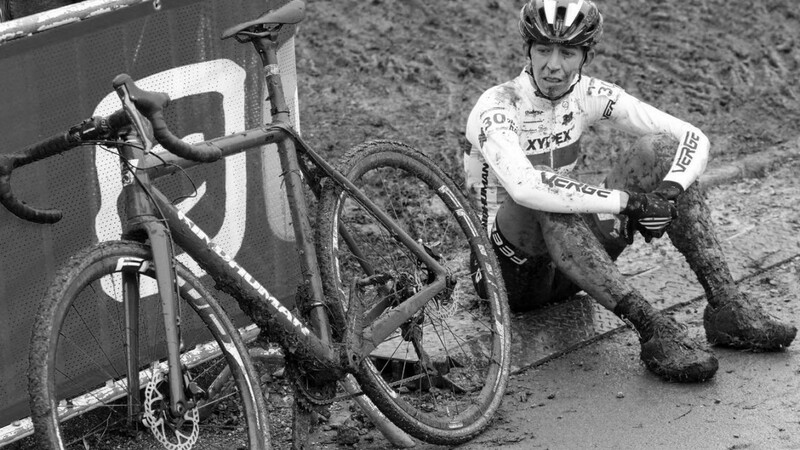 Photographer Bart Hazen provided a gallery that focuses on their respective muddy afternoons. 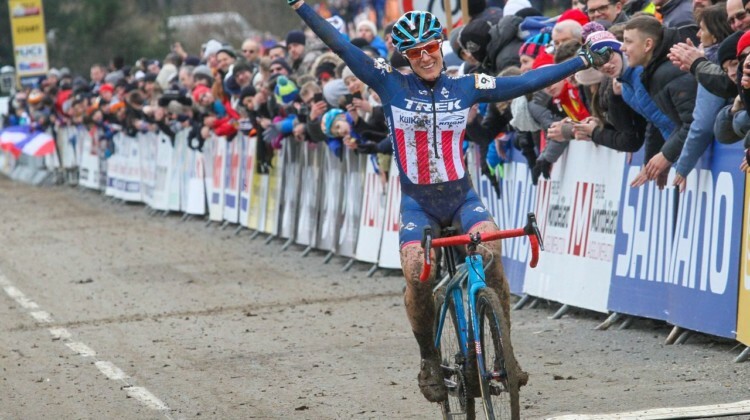 Katie Compton was dominant in the mud and Kaitie Keough bounced back and the two Americans went 1-2 at the 2018 World Cup Nommay. 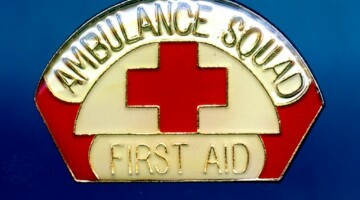 Get the story and results. 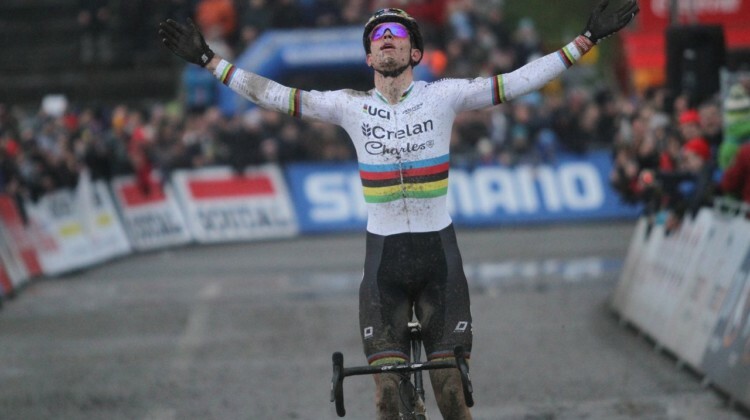 Mathieu van der Poel kept rolling in the new year at the 2018 GP Sven Nys. 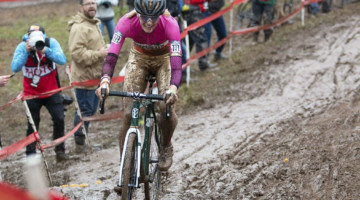 The photo gallery from Bart Hazen captures the action from the first mudder of 2018. 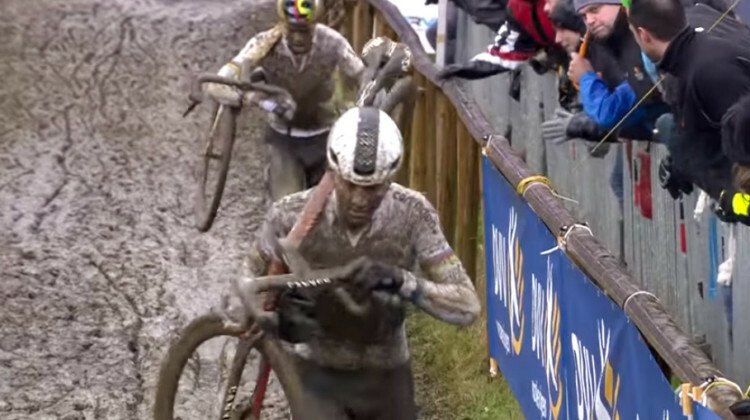 The 2018 cyclocross year kicked off with a proper mudder at the GP Sven Nys in Baal. 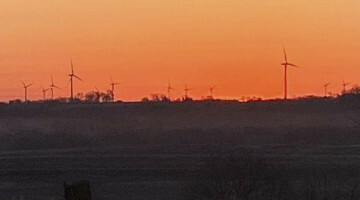 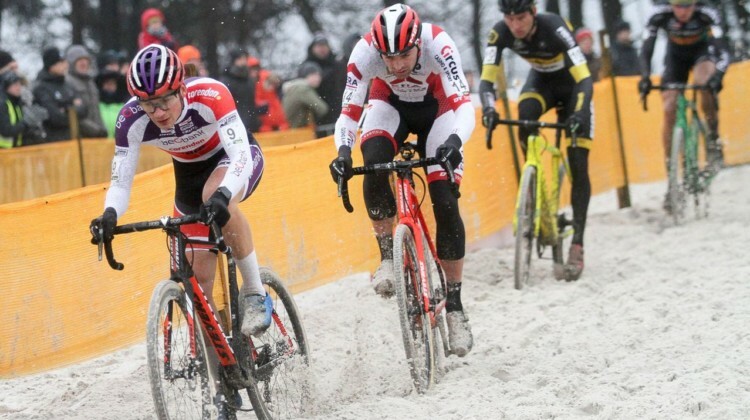 Check out video highlights and watch an up-close amateur video of the action. 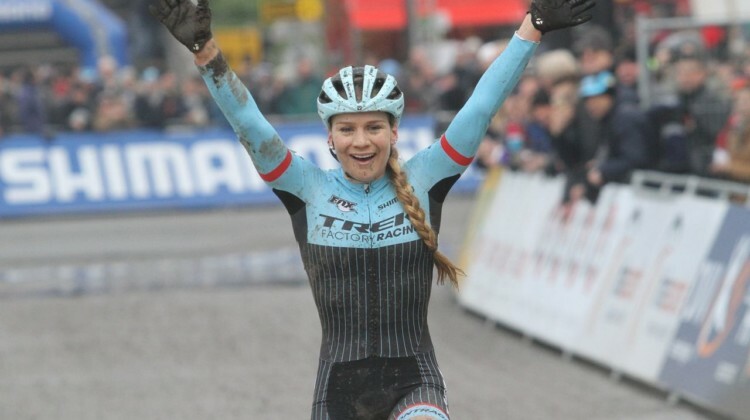 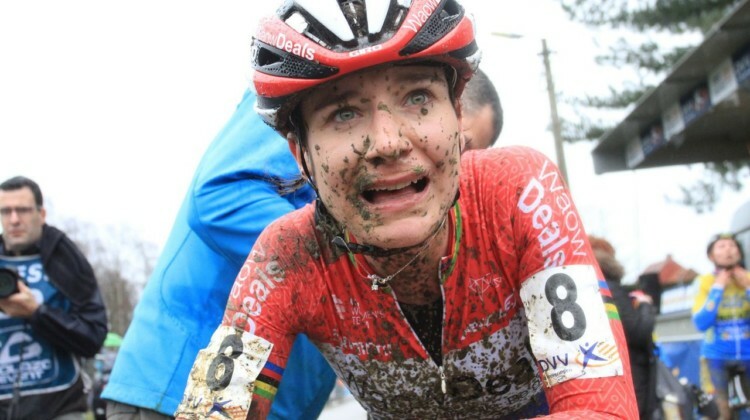 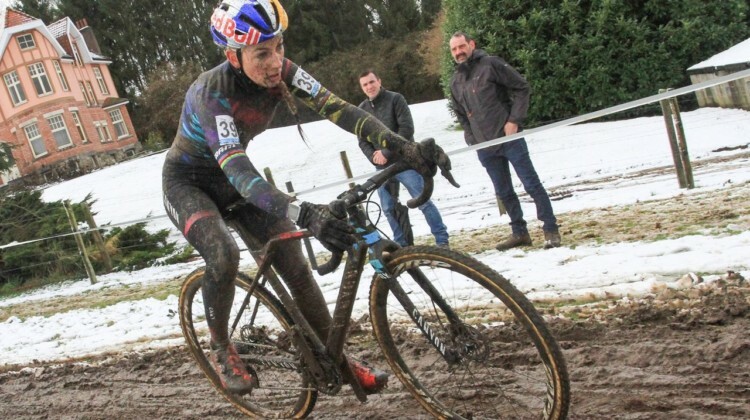 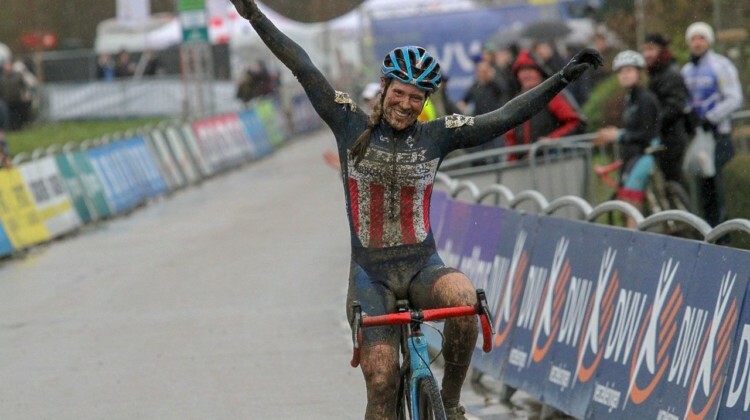 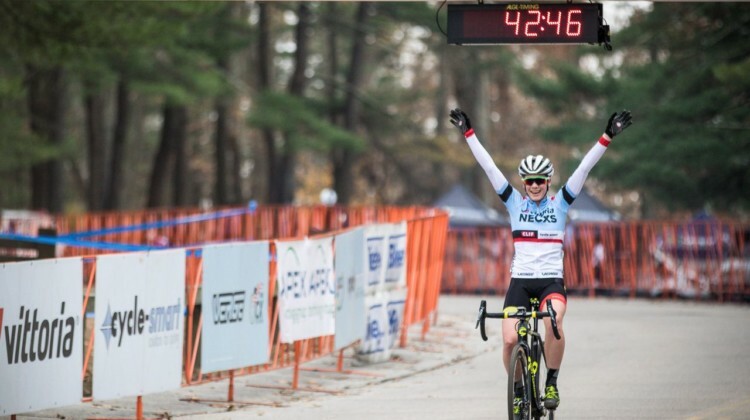 Katie Compton started the new year with a muddy win at the 2018 GP Sven Nys. Watch video highlights and an amateur video from the messy action. 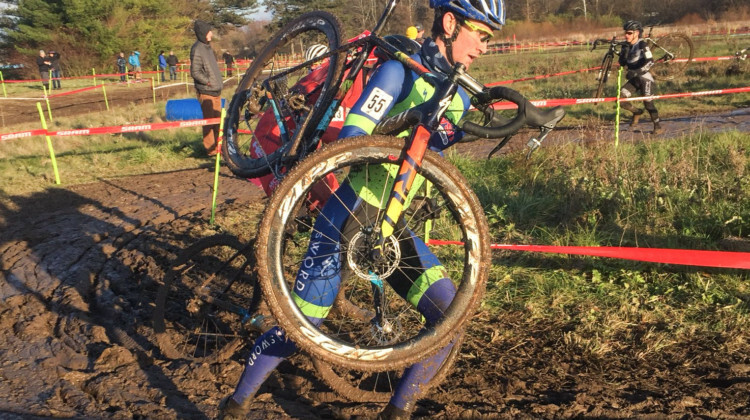 The 2017 Azencross had rollers, ditches, mud and frites. 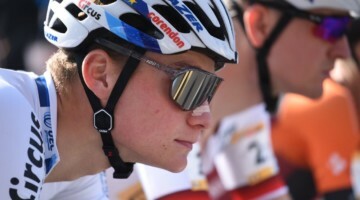 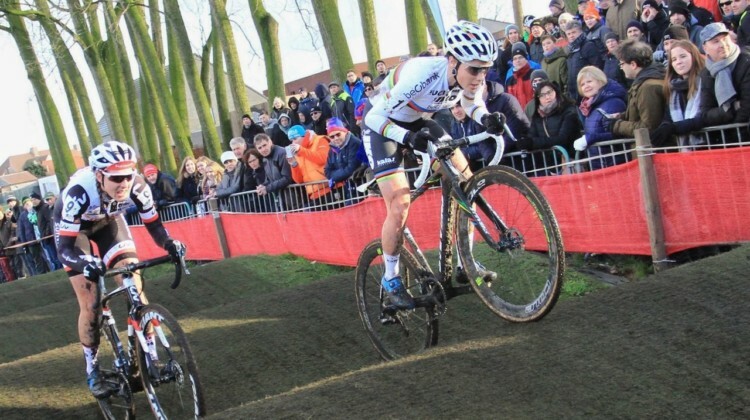 Bart Hazen looks at the Kerstperiode racing action in Loenhout in his latest photo gallery. 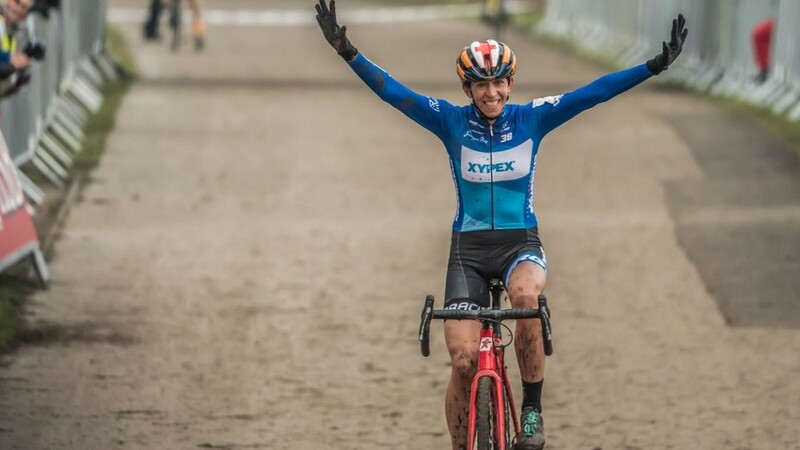 Sanne Cant won late, Mathieu van der Poel rode away early and the Beobank-Corendon teammates both got their latest wins at the 2017 World Cup Zolder. 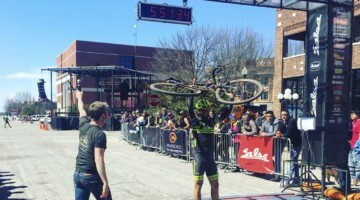 We have results from the racing. 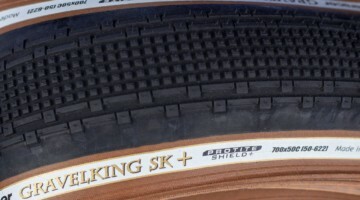 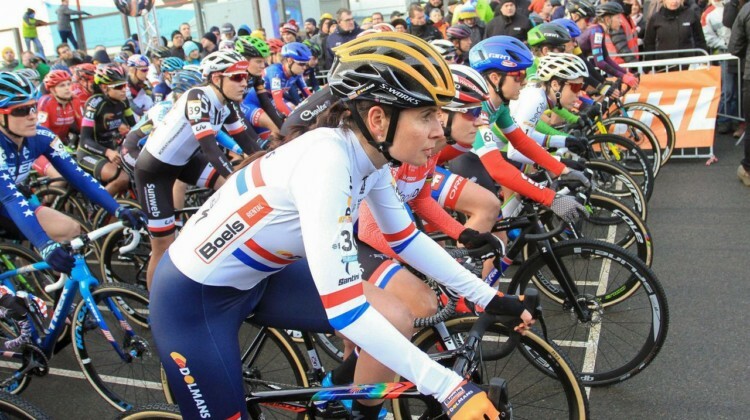 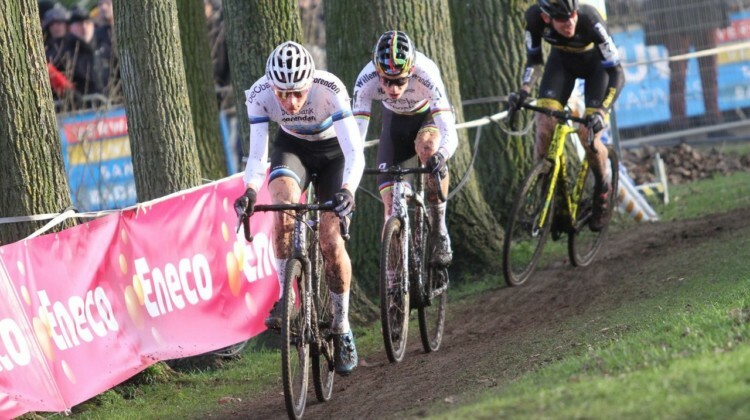 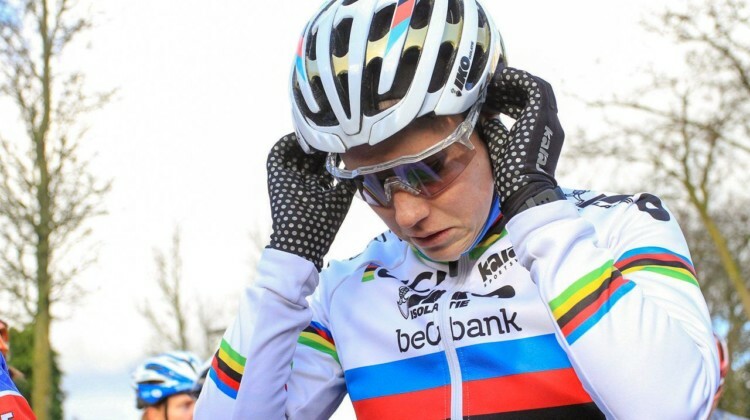 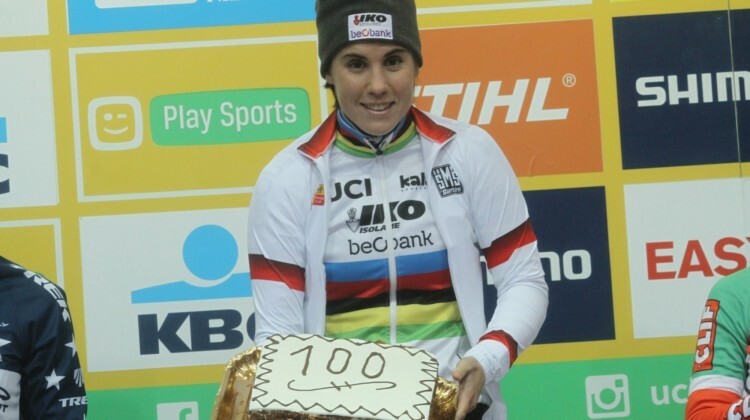 World Cup racing continues on Tuesday, Dec. 26 with World Cup Zolder. 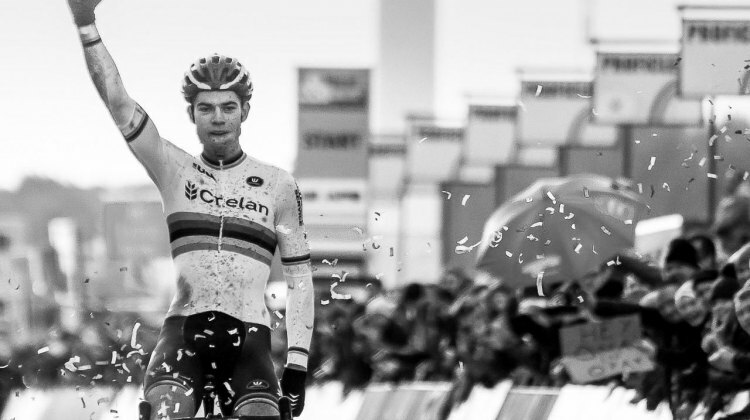 See start lists to find out who will be taking the line at the famed race Belgian race. 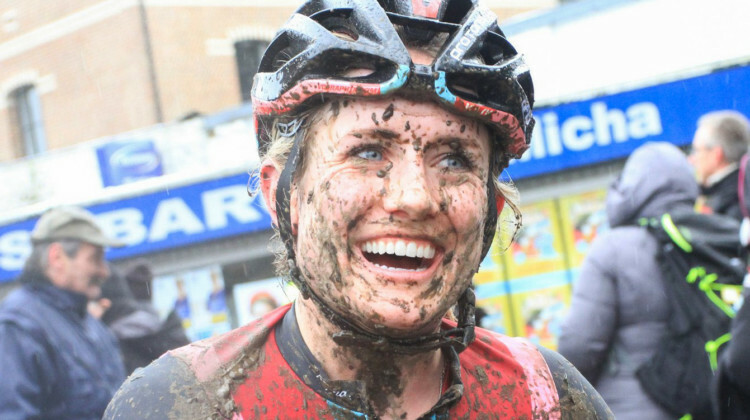 Snow and mud made for an epic day of racing at the 2017 HSBC UK National Trophy race in Bradford. Col Morley provided a stunning gallery of images from the day of UCI racing. 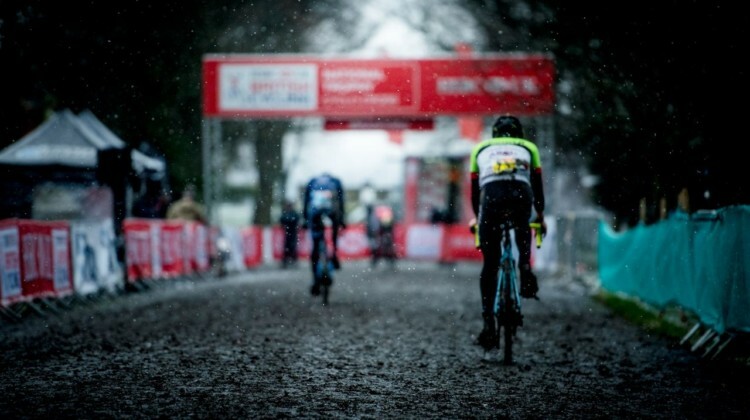 Snow and sleet brought epic conditions to the 2017 Vlaamse Druivencross. 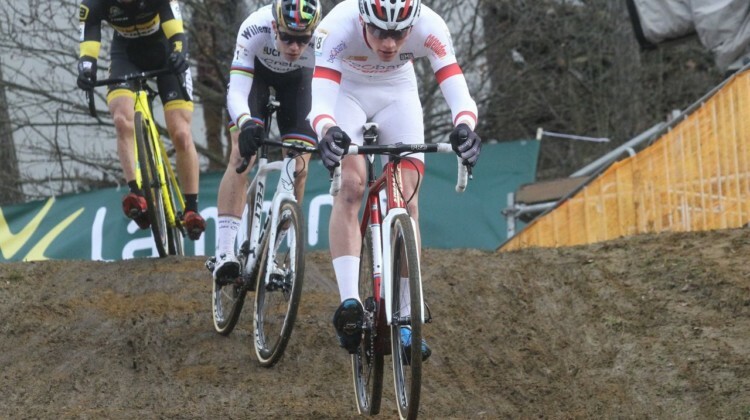 The resulting ‘cross faces were on point. 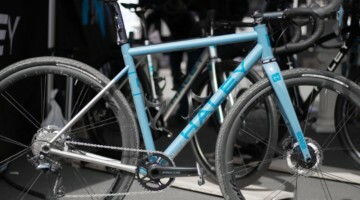 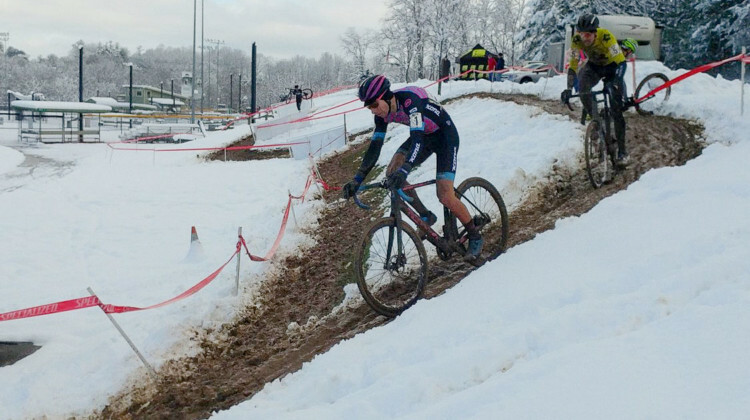 Photographer Bart Hazen captured the during and after of the snowy, muddy day of racing at the Mother of All Crosses. 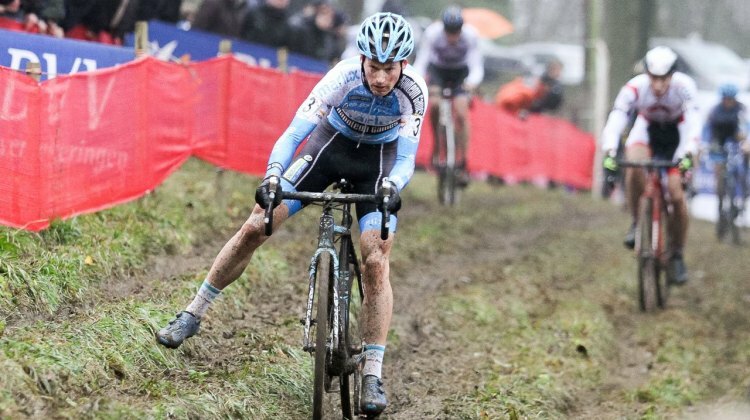 Lucinda Brand and David van der Poel took the wins at the 2017 Zilvermeercross in Mol, Belgium. 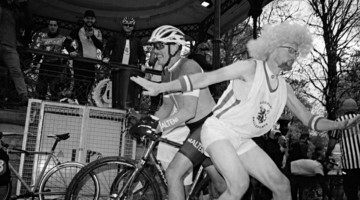 Photographer Bart Hazen provided a gallery of images, including photos of several Americans at the race. 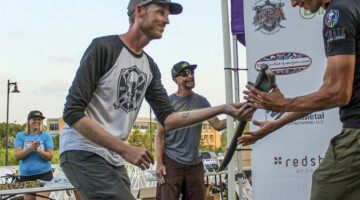 Caroline Mani bounced back and Tobin Ortenblad doubled up on Day 2 of the 2017 Ruts N’ Guts. 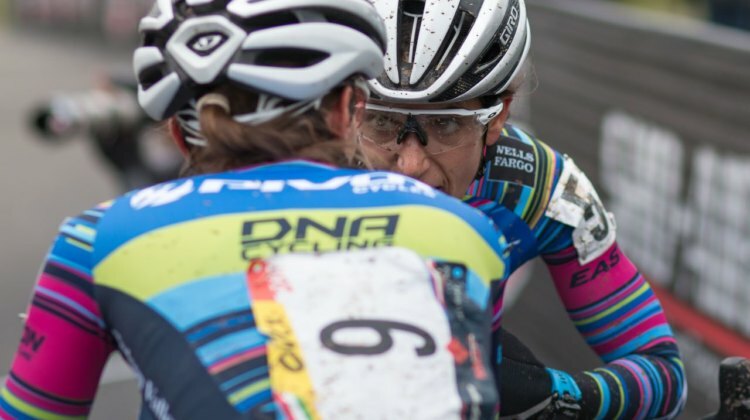 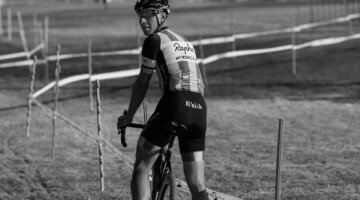 Hear about the racing from the riders in this race report.